Late Spring and thoughts turn naturally to population. Ok, they might more naturally turn to anti-histamines but I've been thinking about the movement of thought in populations, of Arab springs and beseiged coalition governments, of occupied Wall Streets, of mass fever and mass cures. We're down to a briefer than usual four for the last full season part of this year so my choice had to be a tougher one. The four had to fit the theme more or less directly, they had to be very different from each other for variety's sake, and they had to be ... enjoyable. A late change necessitated the substitution of two titles just when I was ready to click Publish. I think it's a stronger selection for all that, though. From unclassifiable dystopias from the psychedelic era through samurai warriors, Eastern bloc oppression, to the whimsy of a comic genuis, I think we've got the right mix. So, come in out of the pollinated breeze and enjoy these tales o' popular control. Stephen Shorter is popstar number one in the land of popstars, late 60s Britain. He's as clean as Cliff and as mean as Mick. The film begins with his latest stage setup which involves him singing from a cage, wearing cuffs and then getting beaten by cops. The girls go crazy! So why waste all that influence just to sell little bits of plastic? A relatively benign tv commercial to help out British apple farmers works as expected. Next stop, get the kids off the streets and back into the churches and ballot booths to vote for their local Conservative. Watkins, a documentarian who frequently crossed the border into fiction, knew the power of mixing verity with fable. His imagined nuclear strike The War Game was banned in its time and can still reduce its audiences to silence. He removed the sentiment from a tall moment in British history in Culloden by reporting on it as a contemporary tv crew might have. For Privilege he used a real popstar, Paul Jones from contemporary mega hitmakers Manfred Mann who proves a natural choice. Shorter's Yoko before her time arrives in the form of supermodel Jean Shrimpton. While the living parallel of flower power herding has long gone, Peter Watkins' fable of a Pied Piper with syndicated management still shows that he understood that rock music's primary force was mercenary rather than cultural. But for all the grimness of his usual fare (historical warfare reported as current news, the real effects of a nuclear strike on Britain) Privilege finds him more satirical, playful even. This film has so many antecedents to the culture of its near future. Shorter is somewhere between Scott Walker and the Bowie of the Thin White Duke. The police brutality stage show could be from A Clockwork Orange. The stadium extravaganza was extensively dipped into for The Wall. But Watkins isn't trying to be a prophet here, he's just performing his customary incision on the culture he sees around him. Oh ... and find me a better version of Jerusalem than the George Bean Group plays in this film. An aimless, down at heel samurai wanders into a town held between the forces of two rival gangs. At first, he finds some amusement and profit from playing them against each other but then it gets personal and he has to use all his wits to stay alive and stop the town from destroying itself. Derived from American noir and westerns, Yojimbo sees the maestro Kurosawa once again in steady and serious pursuit of ideas that dwelt at the centre of his world: pacifism vs military self protection; the cold war's rampaging division; the frailty of human loyalty. There is even the surprise nod at the arms race which kicks the assumption that this is a medieval story right into the modern world. Tough violence rubs shoulders with philosophical dialogue and I'm sure I saw a kitchen sink in there somewhere. 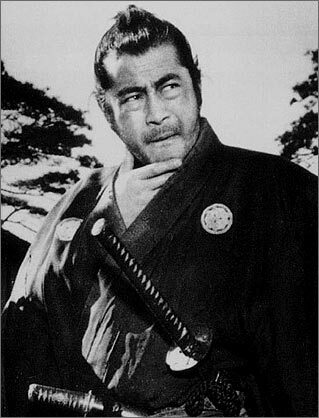 If Mifune had been justly celebrated as an actor in Japan this role took him to the world. When his father goes off on yet another business trip and doesn't come back, Malik starts walking in his sleep. He doesn't know that the business this time is an indefinite sentence at a labour camp. It's Yugoslavia 1948 and Tito has just split with Stalin. Malik doesn't have all the details but he has every reason in the world to act out his anxiety. 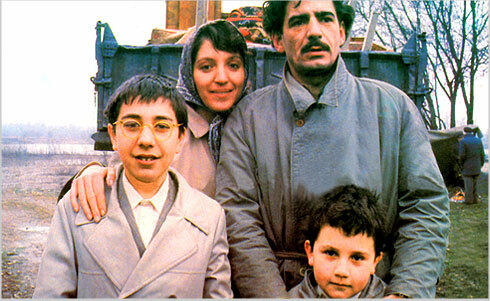 Emir Kusturica had not yet begun to allow his whimsy to overcrowd his canvases when he made this film. The range of fears and joys from the everyday life of these villagers emerges organically from a strong cast and assured, purposeful writing and direction. This is why When Father was Away on Business turns out to be so warm and so unflinching. This is not the lead weight cinema that a Bela Tarr or Ellem Klimov can threaten us with but a lively and deeply examined look at a life whose every day routines, irks, gifts and joys might be under constant surveillance but still can demand a celebration. Winner of the Palme D'or at Cannes in 1985. Come and see why. 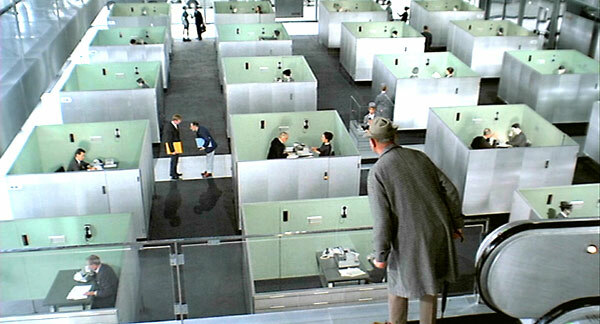 Jacques Tati gives his creation M. Hulot a single task: make contact with a particular person. Easy enough except that the baffling laboratory maze of the modern world separates the two parties. 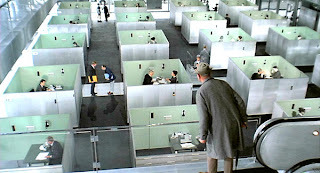 The old-world Hulot determinedly sets about his errand but is continually defeated by architecture and technology designed to render life easy. Tati's own performance of the loping, constantly bemused Hulot provides a kind of Euro-Keaton against the sanitised space age modernity. There's more than a little digging at the American influence in all of this (always a welcome sport, ah they can take a heckle). Tati shot the film in French and English but really most of this film exists without dialogue. That's not to say it's silent. The sound mix in a JT film is usually so rich and purposed that it not only stands in for dialogue but just about qualifies for the musique concrete Hall of Fame. The fact that this cinecomedian in the tradition of the great silent directors (who yet pioneered well beyond their available scope) could be a visible and audible influence on David Lynch might give you an idea of depth and craft served up for your delectation. Come and enjoy. It's hard not to.